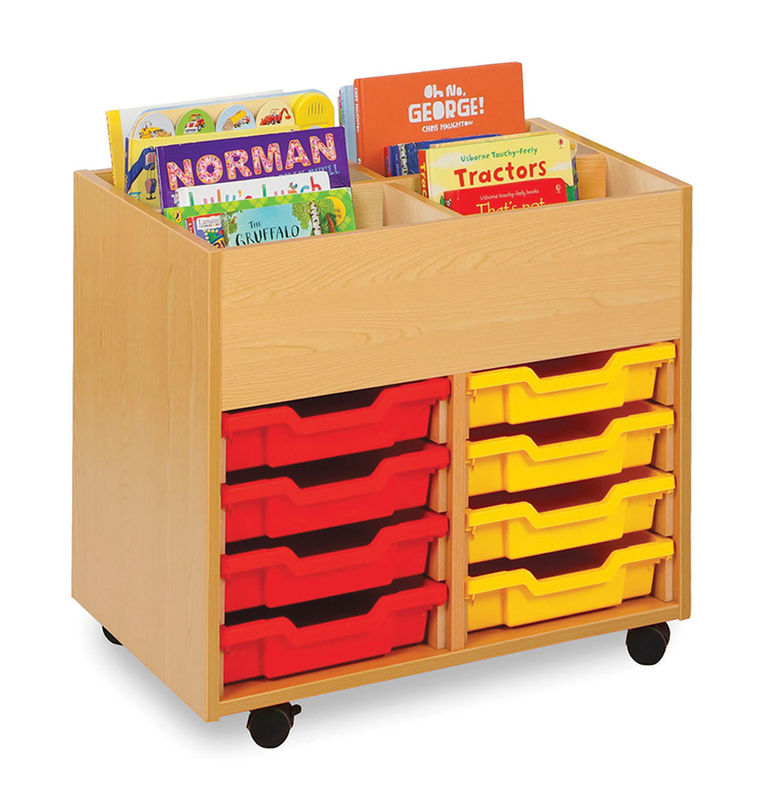 The mobile kinderbox with trays is available with 4 bays (with 8 shallow or 4 deep trays), or choose the larger 6 bay storage unit (with 12 shallow or 6 deep Gratnells trays). 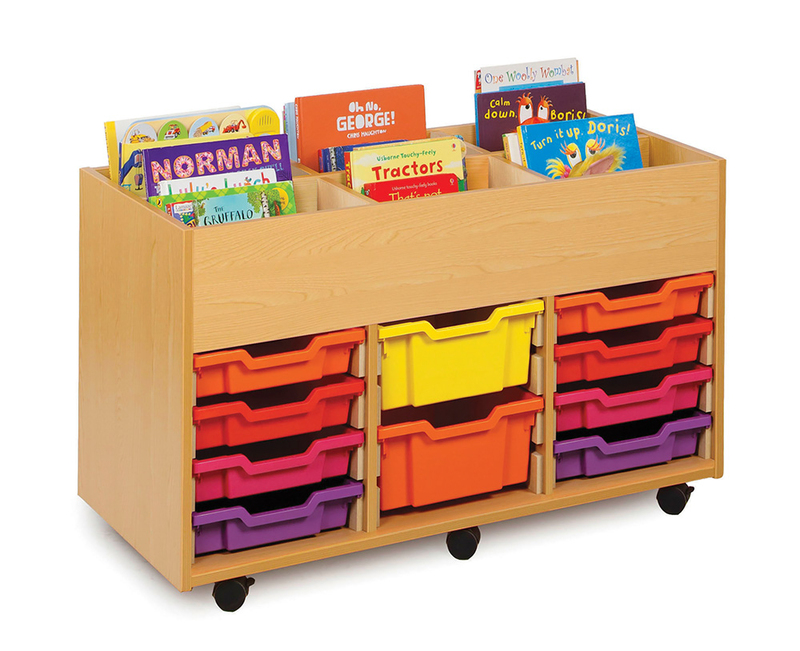 Designed for use within classrooms, school libraries or reading corners in schools, pre-schools and nurseries. 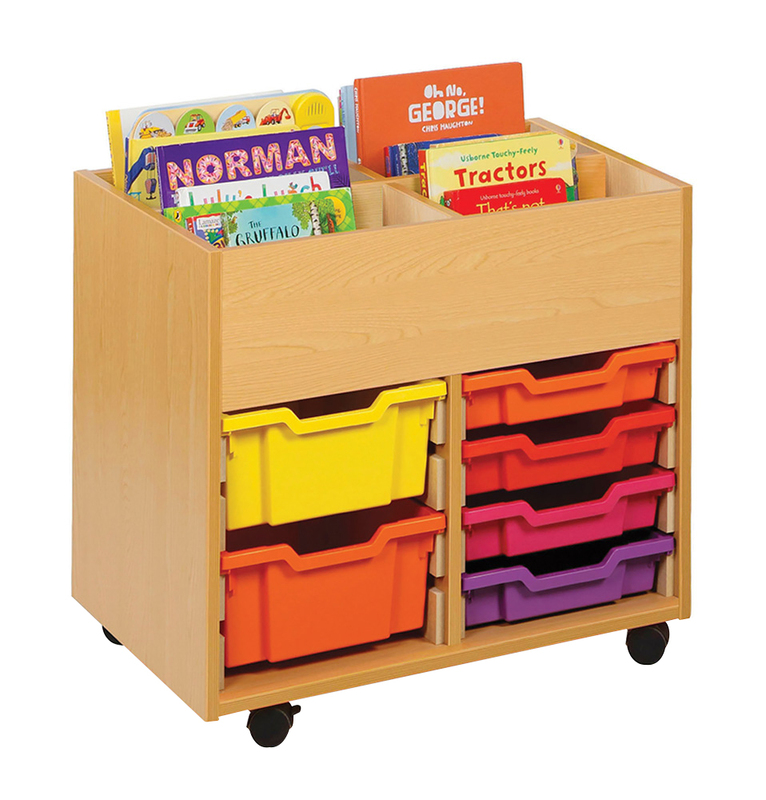 Add a burst of colour to your classroom with 16 vibrant school tray colours. Constructed from 18mm durable MFC in a modern beech finish, complete with easy glide castor wheels for smooth and hassle free mobility. The book storage unit can be mobile or static. Please note: multi-coloured trays are available at no extra cost. The books featured in the product images are not included. Please Contact Us or call us on 01733 511121 for more information.